The North York Hockey League is thrilled to announce that we have established a partnership with Steve Briere, Owner and Founder of Briere Goaltending for the 2017-18 season. 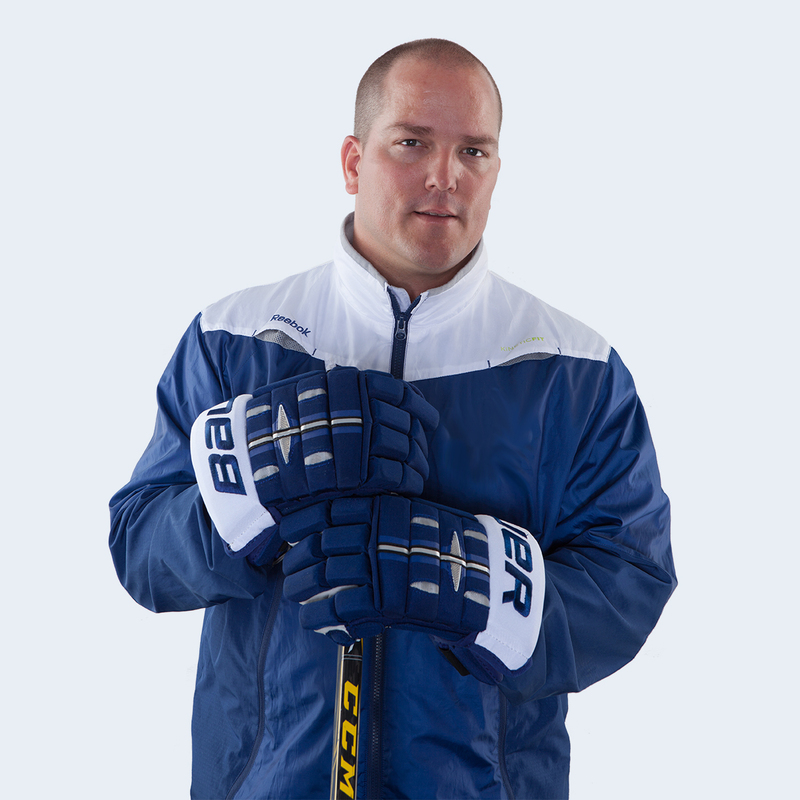 Steve is currently the head goaltending coach for the Toronto Maple Leafs, and we are honoured to be working with someone who has an enormous amount of hockey knowledge, experience in the industry, and a successful playing career. We had the privilege of speaking with Steve about his career and the importance of being involved with the NYHL. Read his Face to Face interview below. Please discuss your minor hockey journey growing up and the story behind getting into the sport. I grew up in Montreal, and my cousin Richard was a goaltender. In his bedroom, he had a trophy on the dresser of a goalie and I thought it was the coolest thing ever. I started hockey when I was five years old, and when my family moved to Winnipeg when I was eight, I began playing organized hockey. Discuss the journey of starting your goaltending school and how did you get started? At 15 years old, I started working for Canadian Professional Goalie Schools in Winnipeg. I started my junior hockey career and coaching goalies, and when I was done playing college hockey, I wanted to start my own school to teach kids. The owner of CPGS was a good friend and mentor to me, and so I asked him to buy into the goalie school, and he suggested that I would be better off starting my own business. I went back home and began creating brochures, and that is how I started. In the first year of operation in 2000, we had 11 kids at the camp. We continued to expand, and have since worked with thousands of goalies of all ages and levels throughout Canada and the US. What is the most rewarding part of being a goalie coach? The most rewarding part is helping other people to achieve their dreams and to help change their lives. It doesn’t mean everybody is going to make it in hockey, but they can use these valuable lessons in their life. The pressure, seeking advice, and going out to seek training – Nobody is going to bring it to you. You need to go out there and seek these lessons. One of the most rewarding parts about being a goalie coach is teaching the players the lessons that they will use to help them achieve their dreams. What would you describe as being your greatest achievements? Growing up, I never thought about going to college. Nobody in my family went and my parents never saved the money to do so. I earned a scholarship to play college hockey, and I went back to school to attain my Masters in Entrepreneurship when I retired from hockey. Winning a national championship in college and getting to play pro hockey was a great achievement. Being an entrepreneur is very much like being a goalie – you’re on your own, there are a lot of risks involved, and you work those extra hours to accomplish your goals. What made you want to become involved with the North York Hockey League? The NYHL came up with my business partner, Peter Burton of Burton Sports & Entertainment Management. I wanted to do more work locally and to be a part of the community. What makes things great when you’re coaching and playing hockey is being involved in the community and making a difference. How are your values similar to what the NYHL believes in? I love how the NYHL is all about being positive. It is a positive environment for hockey, and if you have a positive attitude, you can accomplish anything in life. It is helping people accomplish their goals, and if you pin your goal on helping people to achieve their own dreams, you can accomplish that with everybody. I was able to get my education with hockey, play pro hockey, travel the world, and I’ve now worked my way up to coaching at the NHL level. Therefore, I’m still able to make my entire life around hockey. What are your main goals for this partnership between yourself and the NYHL? My main goals are to create lasting friendships and to become a part of the community. I have the opportunity to change kids’ lives and to teach them life lessons through goaltending. I want to teach kids to have goals, to plan, surround themselves with positive people, and to have a tireless work ethic. What advice would you give NYHL goaltenders and players who hope to excel and reach the NHL level? My advice is to be the best you can be today and the rest will take care of itself. Don’t compare yourself to anybody else, and the rest will take care of itself. Thanks to Steve Briere for his time! We’ve had Face to Face chats with all sorts of cool hockey folks! Read more of our interviews.